Acid leaching of vermiculite is an interesting procedure to prepare high surface area porous silica. 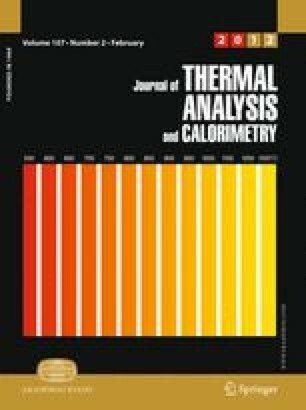 Thermal behaviour of unground and ground vermiculite leached with HCl solutions has been studied by TG, DTA, ETA and high temperature XRD. Important differences have been observed in the thermal behaviour of unground and ground vermiculite after the acid treatments. Thus, for the acid-treated unground vermiculite, dehydrated vermiculite, enstatite and cristobalite were formed during the heating, while for the acid-treated ground vermiculite only iron oxides and cristobalite phases were observed. Structural modifications due to acid treatment were responsible for changes in the transport properties determined by ETA for the vermiculite samples. The paper was prepared in the frame of the bilateral cooperation between CSIC, Spain, and Academy of Sciences of the Czech Republic. The authors are grateful to the financial support of Junta de Andalucía (TEP-03002), the Spanish Interministerial Commission for Science and Technology (MAT 2008-06619/MAT) and the Academy of Sciences of the Czech Republic (LC 523).